Win art for your wall! It’s January. After exhaustive searching and a thousand ka-chings, everyone in your life received something thoughtful from you. Except you forgot your wall. The heart of your home. The soul of your sanctuary. The core of your crib. Overlooked. Lonely. So sad. Mercartto wants to help by giving you a chance to win art for your wall. From January 22 - February 28, 2018, Mercartto is giving you two chances to win a piece of art for your wall. Take a photo of your art-less wall. Share it on Instagram or Facebook. Use the hashtags #artisneededhere #mercartto #findmesomeart. Encourage others to like and share the photo of your wall. 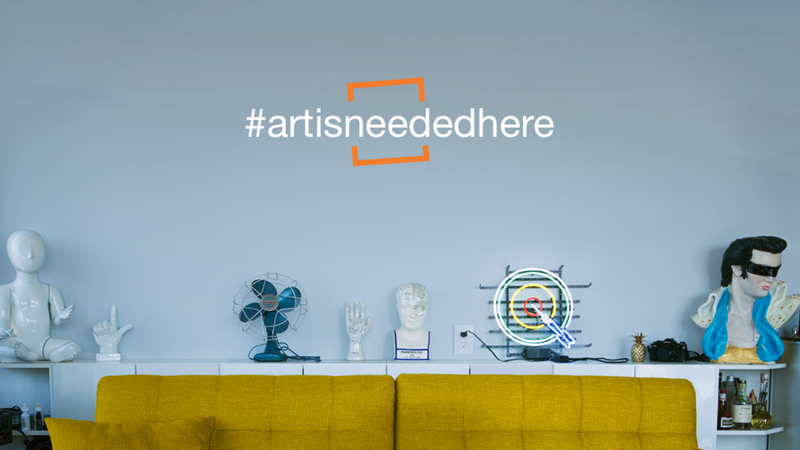 Random submission draw: We will randomly draw a wall from submissions to our facebook wall or on non-private instagram accounts using at least one of the hashtags #artisneededhere #mercartto #findmesomeart. Sign up for updates: Sign up for our monthly updates to increase your chances of winning as we will draw a subscriber at random. *Contest is open to US and Canadian residents (excluding Quebec) who have reached the age of majority. No purchase necessary. Mercartto.com saves you time by matching hand-picked, purchasable original art to your unique personality. Try our fun quiz to discover which art personality type you are, and to see your recommended art matches from our curated collection. Questions? Contact us at artyoulove@mercartto.com.